Our second-to-last talk is going to be a unique format–a walking tour and talk around Alfred’s own mysterious castle! University Archivist Laurie McFadden will be giving attendees a taste of the curious, mystical, and magical history of Steinheim Castle, as well as sharing some notable local ghost stories. Follow her on a walking tour of the building as you learn about some of the most interesting legends of the place, and get in the mood for a properly Hogwarts Halloween. 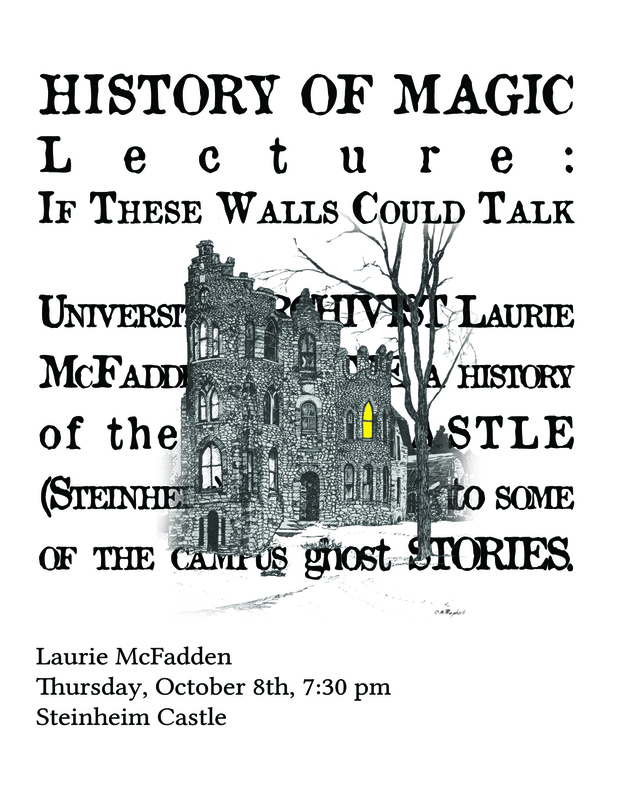 Reminiscent of the observant and talkative paintings in Hogwarts, University Archivist Laurie McFadden will give a history of the campus castle (Steinheim) and delve into some of the campus ghost stories. 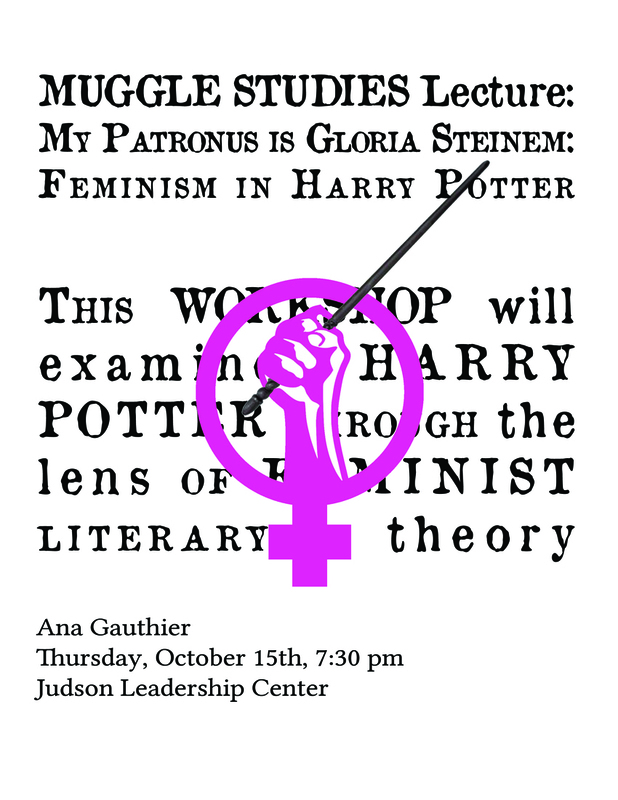 Three lectures left in the Hogwarts University series! We’ve had Herbology, Muggle Studies, Defense Against the Dark Arts, Arithmancy, Charms, AND Care of Magical Creatures classes so far, but this time it’s something new: History of Magic. 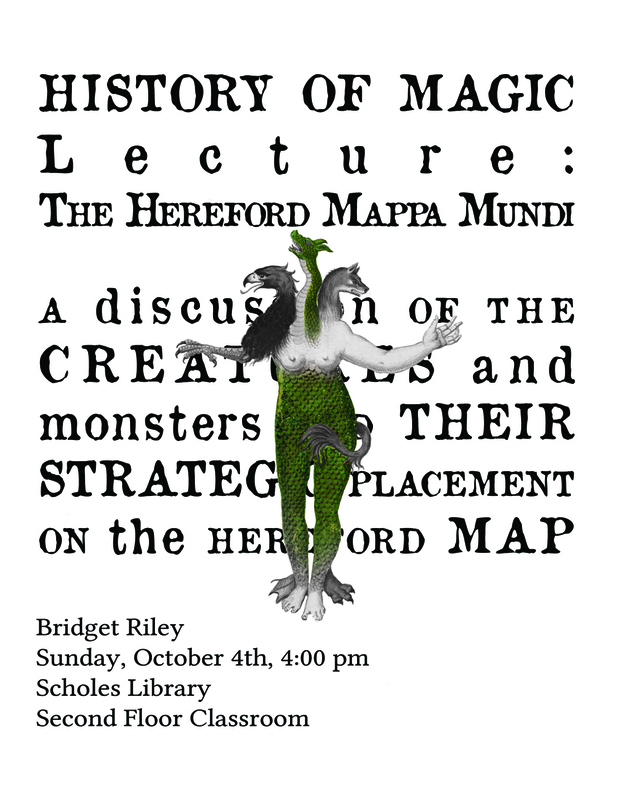 A comparison of similarities between Harry Potter’s “Maurader’s Map” and the medieval “Hereford Map,” as well as a discussion of some of the specific creatures and monsters and their strategic placement on the Hereford Map. Join us for monsters, creatures, and features this Sunday, and stay tuned for announcements about the last two talks–and of course the closing Halloween Ball.